See if this is the kind of small car you’ve been looking for in Peekskill at your certified Nissan dealership in Yorktown Heights, and apply for financing online! According to Edmunds, the 2018 Nissan Sentra “offers straightforward practicality and an appealing price. There’s plenty of cargo space and lots of room for passengers”, making it an excellent family car. 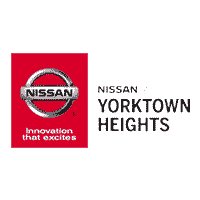 The new Nissan Sentra is on sale near White Plains right now at Nissan of Yorktown Heights, where we have an impressive selection of new and pre-owned Nissans for sale, including the entire trim lineup of new Nissan Sentra models. Check out other features of the Nissan Sentra like NissanConnect as well as its impressive performance. You’ll also find a number of new vehicle specials and service specials to take advantage of!